The biggest advantage that many people buy CBD oil is because it’s all natural and because it contains no chemical and other unnecessary additions. The base of the CBD oil is the industrial CBD rich hemp. 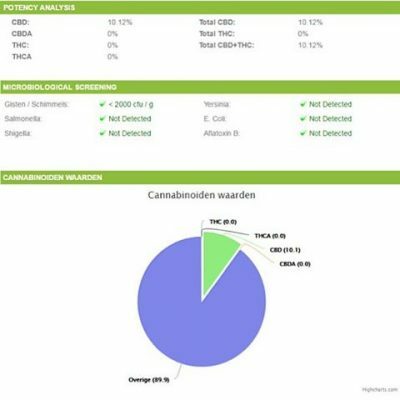 All of our CBD oils have a legal THC percentage. Various studies show the special characteristics of CBD oil, even talking about the most ideal and hopeful product of now and for the future to support your well-being! What brand to order CBD oil? You may not have much experience with ordering CBD oil. Therefore, we would like to tell you more about the quality of the oils offered by CBD Drugstore and which one is most suitable. We first explain what it is, what are the benefits of using CBD oil and what the physiological effects are. On this basis, you can choose which CBD oil you prefer if you decide to proceed with the order. 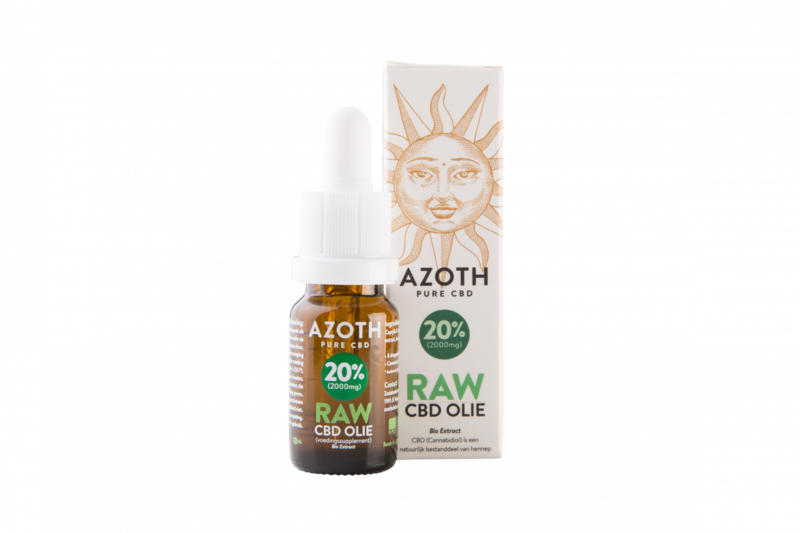 With RAW it is meant that the best plant material (flowers and leaves) is used to produce the final semi-finished product, through a supercritical CO2 extraction, the CBD paste. 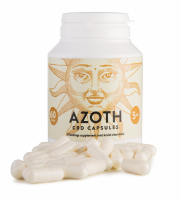 The company Azoth is fully biologically and SKAL certified! 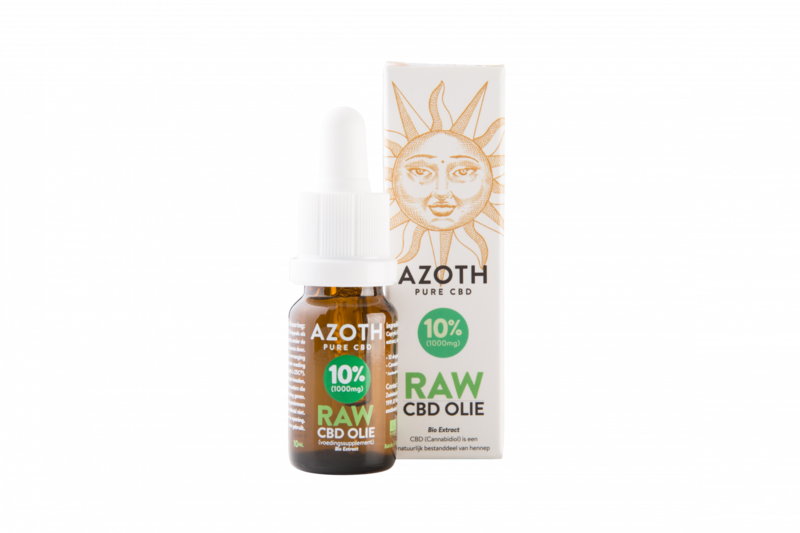 Because Azoth fully utilizes the raw plant material, treat all pure cannbinoids like CBD, CBDA, CBN, CBV, CBG, terpenes, phenols and flavonoids in their CBD oil. 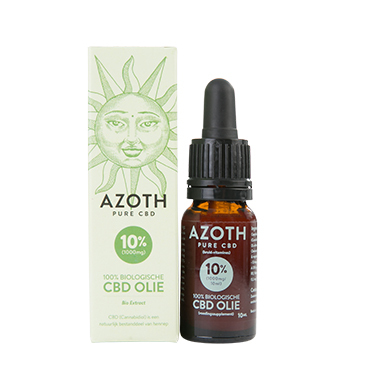 Azoth stands with us, as Best CBD, as absolute NR1 when it comes to the best quality oil available in the market. The entire cannabis / hemp plant is used during the CO2 extraction process, which allows all cannabinoids such as CBD / CBDA, CBC, CBG, CBN, etc. to be present in the oil. Also all flavonoids and terpenes are available in the oil. Research shows that flavonoids also demonstrably contribute to the prevention of very serious conditions. Azoth CBD oil is widely used, suitable for all diseases and diseases where CBD can be used, as opposed to other CBD oils. 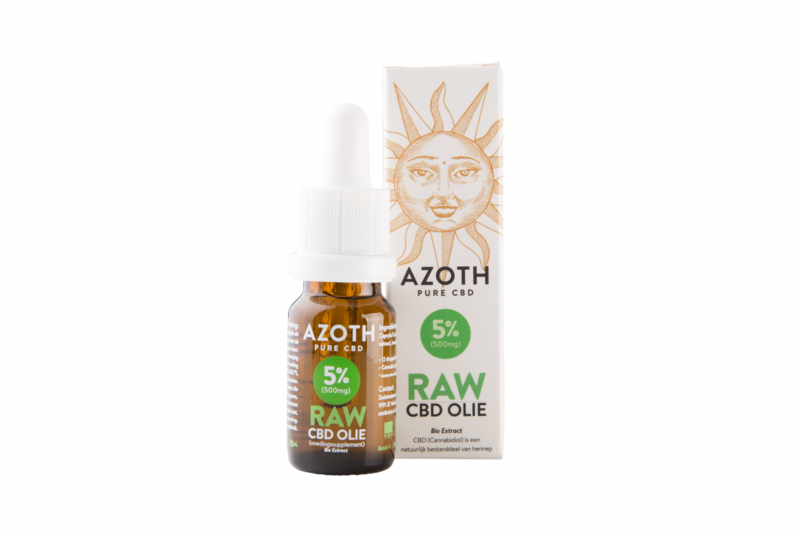 Azoth uses coconut oil and no hemp seed oil as dilution. Coconut oil is healthy and rich in essential omega 3 and 6 fatty acids. Like THC, cannabidiol is an ingredient (cannabinoid) present in cannabis (hemp). There is a clear difference between THC and CBD. CBD is not psychoactive and therefore it does not give a stoned or high feeling. Because it does not have psychoactive properties, it means that the CBD oil is suitable for support to adults, the elderly, children and animals. To provide oil with extremely low THC levels, hemp plants have been used legally for a variety of purposes. Subsequently, these hemp plants have been soaked to achieve the highest possible CBD content. The products you are offered in this section all have a rich cannabidiol oil as a basis, so as to ensure optimal operation. Of course, the content of the psychoactive THC is kept under the statutory standards. THC and CBD are important constituents found in cannabis. There are many positive features that cannabis can cause, largely due to the special cannabinoid. For example, studies show that cannabidiol increases resistance to adverse bacteria and fungi. In addition, it could provide support to protect against free radicals and to better protect the body. The healthy functioning of CBD oil can be a good support for many people. Cannabidiol is also a nerve-specific drug, it is good for normal muscle activity, gives more mental resilience, nervous relief in internal unrest and is beneficial for a good mental balance. You can use CBD oil safely. It’s 100% natural and 100% safe. It has no addictive effect and also does not make for a living. The CBD oil does not produce any adverse side effects. If you are going to use this medicine, it is wise to inform the GP that you are using CBD oil. 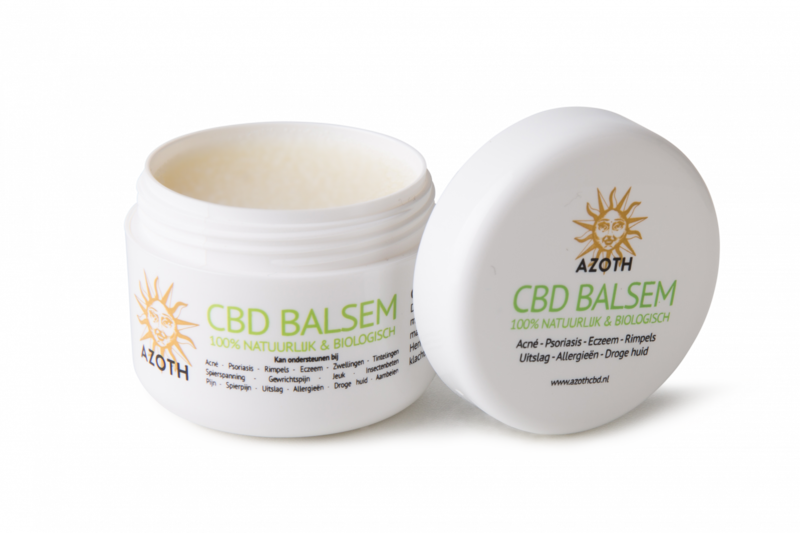 Topical application (local to body) of the CBD-rich products is not taken orally (by mouth) and can therefore be adjusted without medical advice (please inform your doctor about your use). Would you like more information about oral or local use? Then you can always contact us. We will answer your questions as soon as possible.